The 2019 TRUE Seminole shirt will be available April 6th! $4 of every shirt sold goes towards funding athletic scholarships, and this student designed shirt has raised over $260,000 since its inception. History: Since 2007, the Seminole Student Boosters have been raising funds to support the Athletic Scholarship Endowment through their TRUE Campaigns. This endowment helps student athletes excel both on the field and in the classroom. TRUE stands for the values every Florida State University student embodies: Tradition, Respect, Unity and Excellence. Every year, Seminole Student Boosters produces a TRUE Seminole t-shirt, where a portion of the proceeds go back to the Athletic Scholarship Endowment. Student Boosters encourages students, faculty, alumni and FSU fans to support Seminole Athletics through the TRUE Campaign. 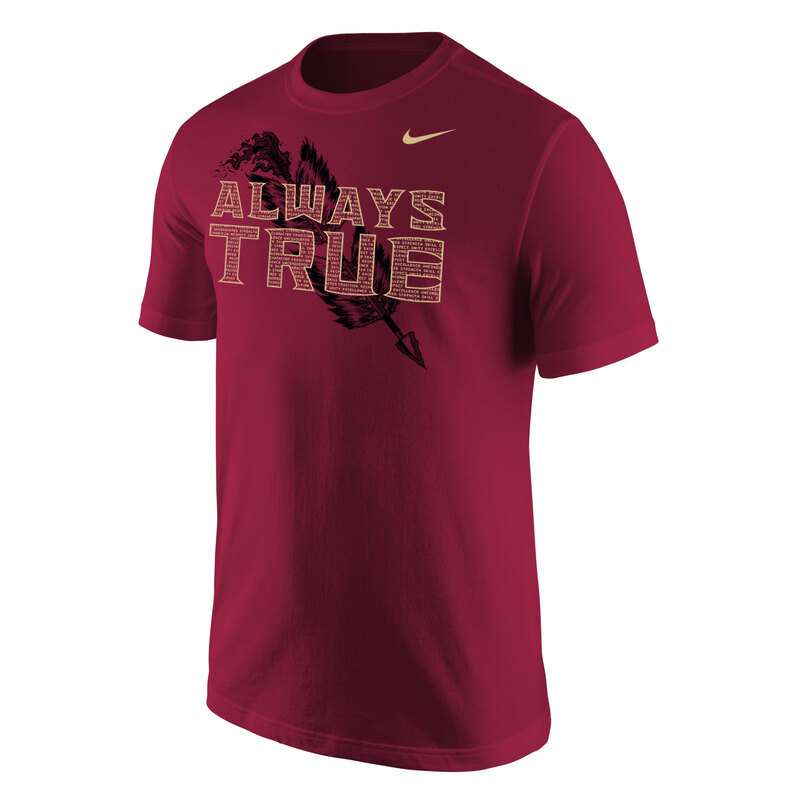 2019 Campaign: The concept behind the 2019 campaign revolves around the phrase "ALWAYS TRUE". 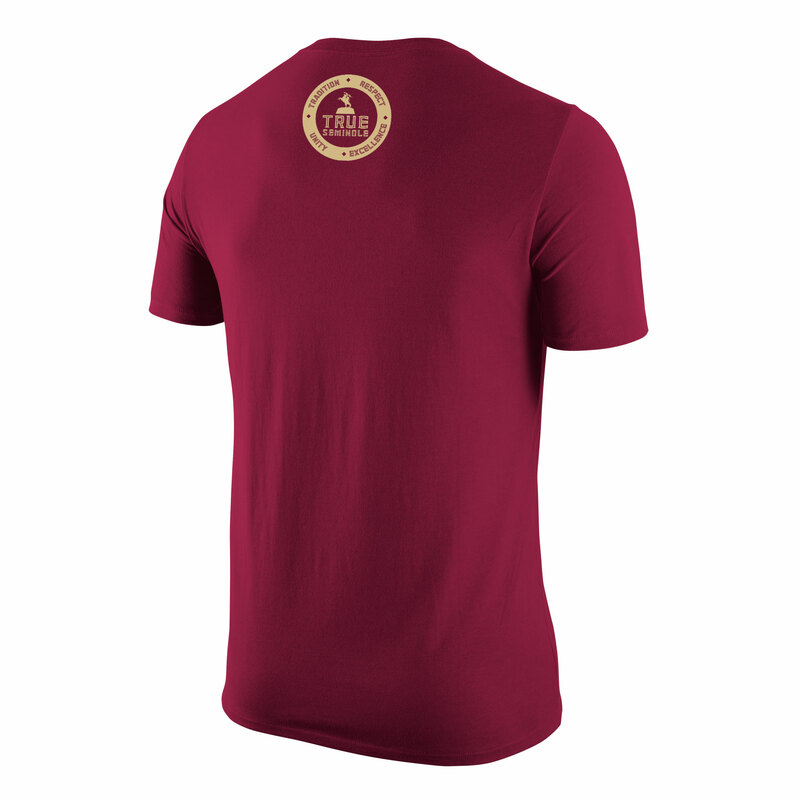 The phrase on the shirt aims to speak to the incredible loyalty in our FSU family, to always support our team, and to constantly be proud to be a Florida State Seminole. Shop in-store or online at our partner retailers!